"Dr. Brenner is the best physician in the world for me. love him"
"Dr. Brenner is an excellent practitioner in every way." "I feel fortunate to have Dr. Brenner looking after me." "Have always found Dr. Brenner to be very courteous & professional." "Dr. Brenner was great! He used a good balance of my knowledge of medicine as a clinician versus treating me as a patient using more vernacular verbiage. I truly appreciated that"
"Dr Brenner is a fantastic physician. he is thorough and caring." "The best doctor I ever had." "Dr. Brenner is a true gentleman. Smart, up to date, confident, and kind." "Dr. Brenner is the absolute best care provider I have ever had. I travel an hour each way to see him and will continue to do so. There are Northwell providers closer to my home but his care, concern, and kind manner are irreplaceable." "I have recommended Dr. Brenner to many of my friends. he is a good doctor." "dr Brenner is the BEST!" "Dr Brenner is a fantastic doctor. Very thorough with going over the issues and always does a follow-up. Very few Dr's that genuienly care for their patient." "I am truly blessed to have such an incredible physician. I could not ask for a better, nicer and more knowledgeable physician!!!" "Dr. Brenner was extremely thorough during my visit as well as expressed genuine concern"
"Dr. Brenner is an outstanding physician and a great diagnostician." "All my family & friends go to Dr. Brenner. He is excellent!!" "I am a long time patient of Dr. Brenner so obviously satisfied." "Dr Brenner is amazing. earlier this year I had some health issues that were concerning. knowing Dr Brenner was doing everything he could to help me was a comfort to me and my family." "Outstanding doctor. Dr. Brenner had been taken care of me for 15-20 years." "Dr. Brenner is great and being thorough and tailoring his advice to your knowledge base while also explaining it in simple terms." "I have full trust in Dr. Brenner's decision. He is an excellent physician." "Great doctor - very caring." "I love dr. Brenner and his entire staff I've been with this office since the 1970s"
"dr Brenner is the best"
"(Her daughter is commenting here.) Even though she forgets what Dr. Brenner tells her, he's super thorough with her care. He does give her instructions, but follows up with me to make sure his instructions are followed through. Sadly, my mother's a huge procrastinator, so it's hard getting her to follow through." "Dr. Brenner's medical knowledge and care have enabled me to reach the age of 90. I am still feeling very well." "During this lengthy period of celebrating a traditional family holiday Dr. David E. Brenner always responds in an immediate timely manner which has put his patients & responsibilities to them of primary importance. #1 & 3. Always. #5. None needed. #9. Always. " "I feel like I'm under the best care with Dr. Brenner. He's attentive and thorough"
"I consider myself, my husband & son very fortunate to have DAVID Brenner as a physician. He is truly interested in us as patients & people. & he is the epitome of excellence in the medical profession." "I have the highest regard for Dr. Brenner and his attention to my husband and me." "Dr. Brenner is a fabulous, caring physician." "dr David Brenner and the entire staff are simply terrific!" "Dr. Brenner is excellent. He gives the most complete exam I have ever experienced. Despite the outrageous real estate taxes here on Long Island I intend to stay on the island to enjoy the extraordinary medical services offered by Dr. Brenner and Northwell. " "I love David Brenner, my whole family now sees him"
"Dr. Brenner is courteous and very attentive. Always listens to my concerns and then calls my daughter to let her know what was said or determined during the visit." "Dr. Brenner is an excellent doctor." "Dr. Brenner had been my primary care physician for many years." "Seeing Dr. Brenner for many years............. never a single problem"
"I have the highest regard for Dr Brenner. He is a true professional with an extraordinary human approach." "Dr. Brenner is a wonderful professional. If more doctors were like him there would be less gripes and complaints about the medical profession." "Dr. Brenner is a very attentive and skilled physician. When my husband was seriously ill, he called periodically on his own -- not just in response to our calls to him. He treats patients with respect, he discusses medical options and gives patients full information." "Best physician I've ever been to." "dr. brenner is excellent. knowledge of disease and also of pt and family. :)"
"Everything went just fine, everything went okay to my satisfaction." "dr. brenner has always been kind and very professional. he always answers my calls and always calls with the results of any tests I've had done. he's the only reason I continue to come to the office." "Dr. Brenner listens to you and is easy to talk to"
"Dr. Brenner is the best, love him." "I couldn't be more pleased with the care I receive." "Dr Brenner is thoughtful, intelligent, and an excellent physician." "Always excellent experience as my loyalty for decades and my good health will attest. " "My provider is always courteous, friendly, informative and always addresses all of my questions and concerns. No matter how many questions I have. I wish all doctors were like that. "OUTSTANDING."" "Dr David Brenner is the best doctor one can look for. Informed, courteous, smart, prompt accessible even by email." "Dr. Brenner is the warmest caring physician! He listens and always answers any questions you have. He is thorough and takes his time. I could not be any happier. Dr Brenner is a gem!" "Dr Brenner is the best. He is friendly and kind and was able to remember some life stories I told him, when I hadn't seen him in a year. I think he is a fabulous doctor!" "I receive the best care from Dr. Brenner. His medical professionalism, as well as his heartwarming smile when we talk about the Giants, goes a long way." "Really bright and compassionate physician!" "Grateful my life is in his hands. Greatly." "Dr. Brenner called me at home (on a Sunday) regarding the results of my blood test. I was concerned about the results and relieved when all was positive -"
"I'm a return patient of Dr. Brenner's.I find him to be a very attentive doctor, one who easily puts you at ease, thus, enabling you to be comfortable. I've recommended family members (sister, brother-in-law) and they are very appreciative." "Dr. David Brenner is the best and smartest doctor I ever had!" "Could not have had a better Doctor. I am extremely pleased and thankful that I am a patient of Dr. Brenner. He is Awesome with his patients." "Dr. Brenner us a wonderful physician and always follows up with a personal phone call. He'd very caring and concerned about his patients." "care provider is extremely focused and knowledgeable about me, as a patient, and has treated me for many years with total respect and concern for my medical needs." "Dr. Brenner is a very good physician, thorough and great bedside manner." "Dr. Brenner is an unusual doctor caring and the BEST I put myself in his hands." "I recommend Dr. Brenner to my friends." "The most kind and caring internist!" "facing the patient making eye contact not rushed knowing my history before coming into the room all important qualities thst dr Brenner practices"
"Dr. David Brenner is very knowledgeable, I have a lot of confident on him; plus he really care about my health problems!!!" "i love Dr. Brenner he always is very concern about how I am doing he is my Dr. for many years"
"Have full confidence in Dr. Brenner, which is why I have been his patient for 15 yrs." "Past doctors I've had have been a disappointment. But Dr. Brenner is very smart, sensible, and I'm happy to have chosen him as my primary care doctor." "dr Brenner is a very special man.."
"Dr Brenner is very detailed and professional." "Dr. Brenner is the best at what he does and I've always had a good experience over the years as a patient." "I am extremely happy and confident in my care provider/ dr Brenner He is always available if a question arises"
"I always had good care with Dr. David Brenner." 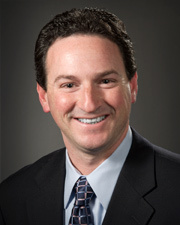 "Dr. Brenner is a true professional giving time, support, explanations & expert medical care!" "I love my doctor and his staff"
"excellent physician and very thorough. Called me on a Saturday to go over test results. I have never had that kind of attentiveness from a physician before." "The best, most complete physical exam I have ever had." "Dr. Brenner is wonderful. He took amazing care of my Dad who is decease for 10 years. He is a very competent and caring caretaker and a very nice person as well." "Dr. Brenner & staff, the very best." "My doctor was away - Dr. Brenner was very helpful." "I've never had a bad experience!" "Dr. Brenner is a wonderful & caring doctor." "Dr. Brenner is an excellent doctor. Would highly recommend him." "Dr. Brenner combines the skill of a knowledgeable profession with the compassion of a good person we are lucky to have him as our physician for primary care." "Dr. David Brenner is courteous and ALWAYS answers all of my questions and concerns, no matter how many. Very lucky to have him as my doctor." "Dr. Brenner is my angel." "Dr. Brenner is a very nice person. He makes you feel at ease and always wears a smile." "Excellent care by Dr. Brenner." "Dr. Brenner is the physician (parents & adult children) for my whole family." "Always trust what Dr. Brenner says - he's always willing to go above & beyond." "One of the best care provider." "Dr. Brenner is thorough, kind, & a great professional." "Always answers all of my questions and concerns. And never rushes me. Very informative & courteous." "I have been going to Dr. Brenner for many years & have recommended him to many friends & family. Everyone including myself think he is the BEST doctor & person!"